Join the 5-week Yoga Lova Beginner Series and be comfortable to join any group yoga class, and integrate yoga into your life forever. This 5-week series will teach you the fundamentals of yoga, breathing, relaxation and alignment in all the yoga asanas. 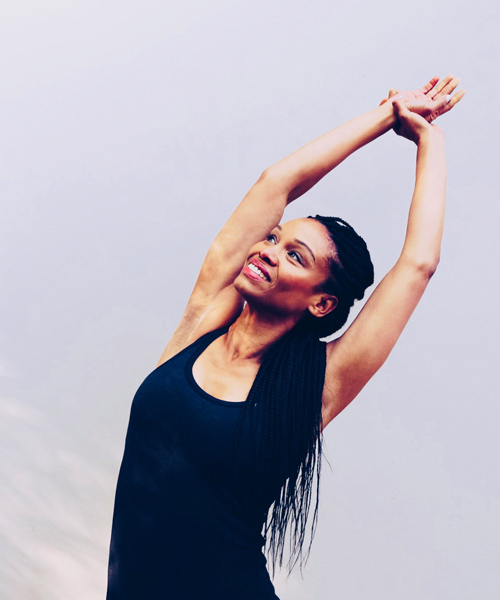 The Yoga Lova Beginner Series will be presented by Lizzy Ntuli (see more about Lizzy below). Lizzy’s flow yoga classes celebrate the power of yoga to bring about positive change and purposeful intention. Her teaching mantra is simple: integrity in movement, mental ease, self-awareness and physical strength. Lizzy’s classes emphasize the yoga fundamentals. Students are guided through the essential basics to explore and have fun whilst building stability, balance and mobility. Her classes equip participants with a solid foundation and understanding in order to progress through their own unique yoga journeys. Off the mat, Lizzy is a seasoned Change Management executive, with corporate experience as a consultant. She lives in Johannesburg with her husband and three children – who benefit from her passion and love for yoga.